To turn the theater back into a political space. 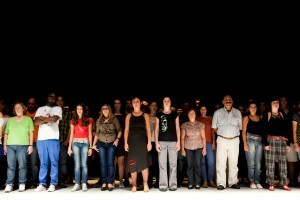 100 people on stage. A landscape of people with different kind of professions, claiming their position on society, individually as well as in group, mapping a sort of ‘atlas’ of the complex cohesion of a social tissue. A quiet revolution. A work motivated by the belief that art should play an active role in society. Uniting art and life. One of the first ideas for this piece where the ideas of the artist Joseph Beuys: ‘we are the revolution’ and ‘everybody is an artist’. He enlarged the area of art to the whole life of mankind introducing the notion of social sclupture. 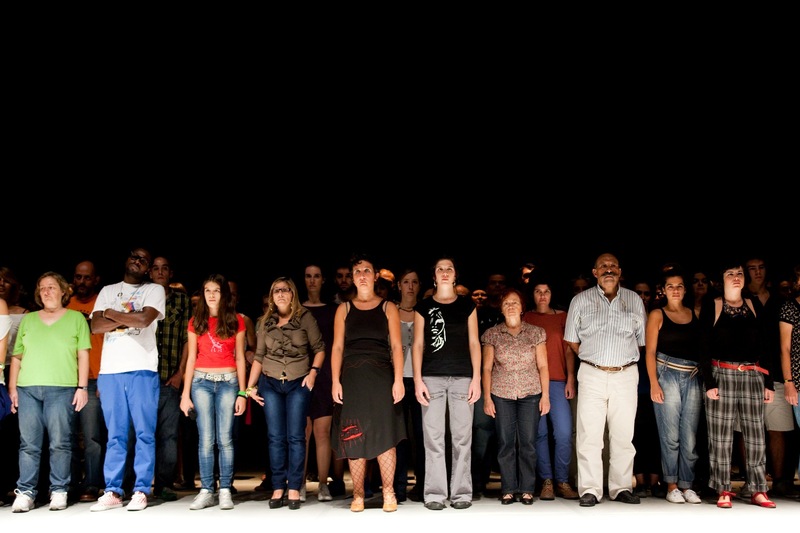 Supporters: Open Latitudes 3, This project has been funded with support from the Culture Programme of the European Union. Book your tickets on availabilities of MU Theatre.